What is a Hampton Bay Glass Globe? A glass globe is the glass cover, or globe, that goes over the bulbs in your light kit. Often times, what can happen is the glass globe can shatter. How does this happen, you may ask? Well, you could be changing the bulb, and the globe falls and smashes. Most of the time, removing a glass globe should be easy. Newer fans tend to have more universal type mounts that hold the globe in place. 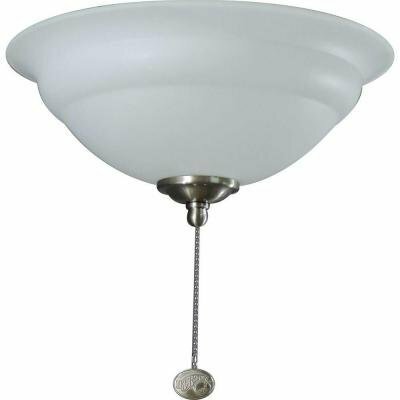 Older fans, and rarer fans can have different globe mounting styles that can be difficult to remove. It can’t hurt to ask the wife, husband, or one of the kids to hold onto the globe while you unscrew it. This way, you can ensure the globe does not fall and smash on the ground. Where can I find a replacement glass globe for my Hampton Bay Ceiling Fan? Replacement glass globes can be found online, or at your local Home Depot store. You can also call Home Depot customer support, and give them the model, or part number of your fan. A replacement glass globe for a Hampton Bay Ceiling Fan. Sometimes they fall down and smash, and you need to find a new glass globe. How can I find my Hampton Bay Ceiling Fan Part Number? Typically, the part number for your ceiling fan will be found on the motor housing, or inside the housing. You’ll need to look at the base of the fan. Likely, you may need to take the fan down, to find the model number. Look on the base, on top of the base, and if it’s not there, open the housing by removing the screws and take a look inside. Replacement globes are usually not overly expensive. Once you’ve determined which globe attaches to the fan, you can purchase it online, visit a local Home Depot store or call the 1-800 number. Typically, a Hampton Bay replacement glass globe should be under $100. Sometimes you can find one for $20-$50.